Emits a large amount of electromagnetic interference which scrambles Garmin GPS reception (though this can be largely resolved with copper tape). Update: December 2014, a shielded case can now be purchased separately. The thought of purchasing an action camera has been on my mind for a couple of years. Videos taken by Texas Bike Racing had a significant influence on my decision to take up road cycling, but for various reasons I held back from laying out the cash. I had mixed feelings about the usefulness of a camera. I wouldn’t want to race with one (it adds weight and something else to worry about), most of my training is solo (I figured that might make for boring footage), and the culture of using cameras for accident documentation seems a little pessimistic! My biggest sticking points were cost and battery life, with most of my rides exceeding the average camera’s operating time. I followed the development of action cameras with my usual curiosity, at least so that if and when I decided to get one I could make an informed choice. But buying one was a long way from the top of my list of cycling-wants. The closing moments of stage 5 in the Tour de Suisse. And the highlights of stage 5 at this year’s Tour de France. I sometimes wonder if non-cycling friends quite understand the speed and intensity involved in the sport – these videos do a great job of conveying that. I saw the pros were using nice mounts made by K-Edge and it lead me to conceive of what could be an elegant solution, using one of their mounts and a little camera I’d seen. The camera was called the Mobius. It had evolved from key-chain spy cameras and was popular with the RC aircraft community. It records at 1080p and costs a mere $68. Of course I had to disregard my previous concern with battery life. 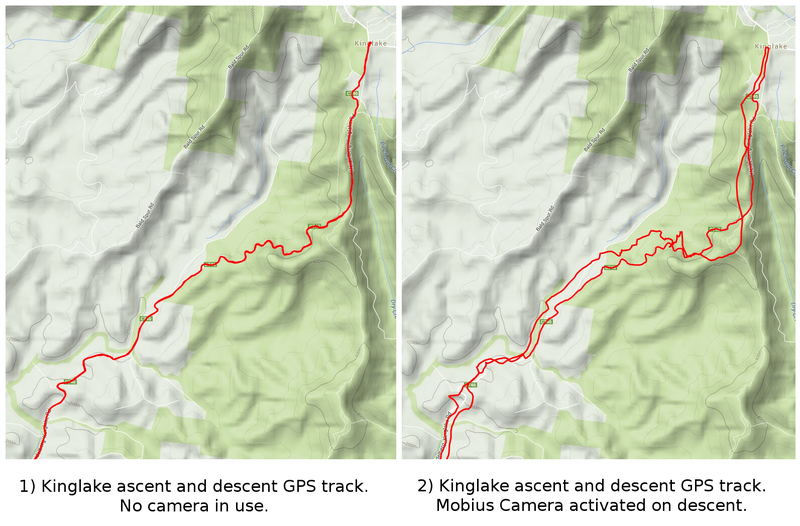 I wouldn’t be getting a camera to securely document every moment of my rides for legal evidence, as much as I’d like to spoil the fun of the jerks who need to pass with such hostility. Instead, I’d just use the camera for the moments in a ride that I might anticipate as worth filming. As a side note, I had never spent my winnings from my first race, wanting to wait until I could spend it on something memorable, and this is where the money went. I ordered the K-Edge mount (1/4″ universal) through their site and the Mobius through an official ebay seller, eletoponline365. The mount arrived from the USA in about two days (I told the FedEx guy I was impressed and he replied deadpan, ‘It’s due today’) and the camera arrived from China a week later. Everything fitted together perfectly, and as I imagined. 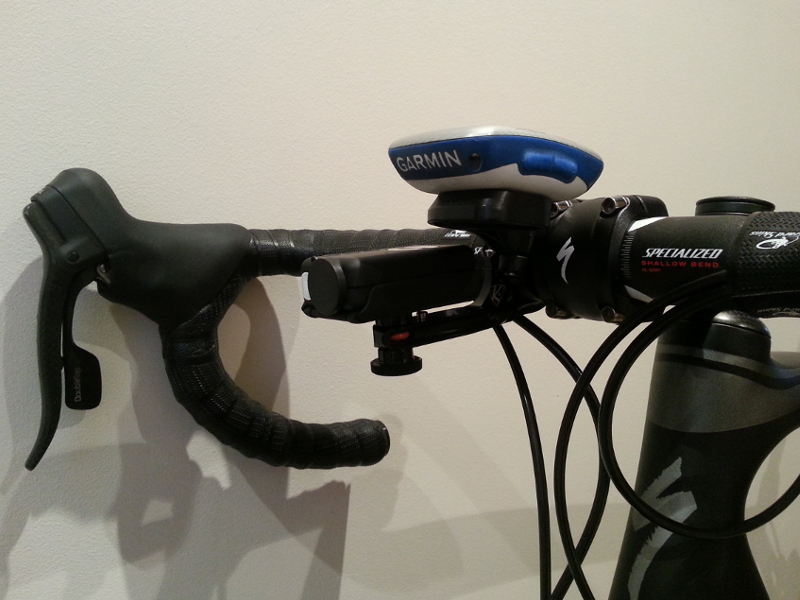 The whole set up fits very discreetly next to, and just under, the Garmin. 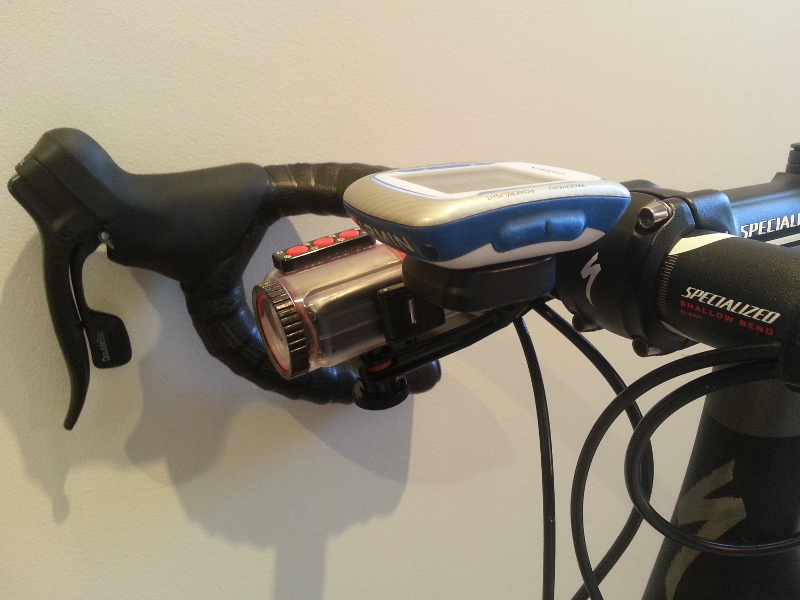 I could make this set up even more compact, attaching the camera to the mount’s underside and directly under the computer, but I ‘d have to forego access to the camera’s buttons whilst riding. The slight downward angle is necessary to capture the road area in front of the bike (there is still a frontal blind spot of about a bike length). 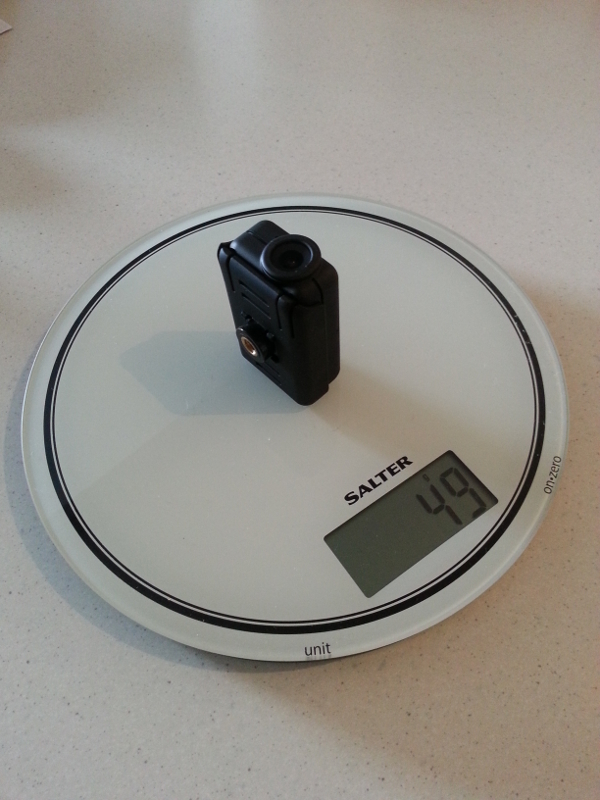 Total weight with the K-Edge mount is 93g. I created the Garmin graphic reading speed (in kph), cadence, and elevation profile, using Dashware, which is an awesome little program for overlaying telemetry on your videos. There were some things I wasn’t quite happy with. From the start of the ride there was an audible buzzing from the camera / mount and this was quite pronounced on the video. I extracted the audio and took out the high-end, then mixed in some music and this made it a bit more bearable for me (apologies if you don’t like the music – I’m from the 90s). The wind noise is still pretty intense, but then it was in my ears too. I was actually fighting hard for lateral stability on that descent against a fierce crosswind (check out the tree in front of the church). The sky colour here is a bit unnatural, maybe not as much as you might think, but I might need to learn how to tweak the camera settings a bit more – up to this point I’ve left colour balance and exposure settings on auto. I did make some changes here from the first video, reducing the data rate from high to medium, and turning the Wide Dynamic Range off. The relevant Mobius settings for each of these videos are in my YouTube ‘about’ descriptions. A program called Msetup makes light work of camera settings – you can download it here (you don’t need the camera to see all the available settings). As an experiment I placed some tape over the mic but there’s still a bit of noise there. It’s that gritty sound that’s bothering me – but on the whole I thought the noise was reduced. My decision to switch from high to standard data rates was an attempt to extend battery life. I actually got less than an hour on the first ride, but with standard data rate and WDR off I’ve been getting about 70 minutes. Good enough for my purposes. Here’s a dangerous overtake. 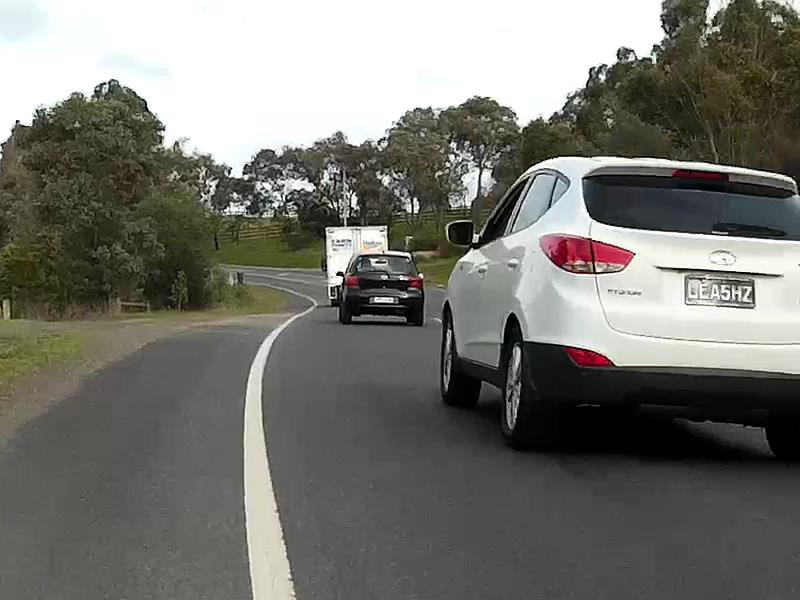 I was descending at about 60kph into a corner which cars are meant to take at 40, and taking the lane to discourage a pass – he accelerated into the oncoming lane to get past me, blind to cars coming around the corner and entered it way too fast. 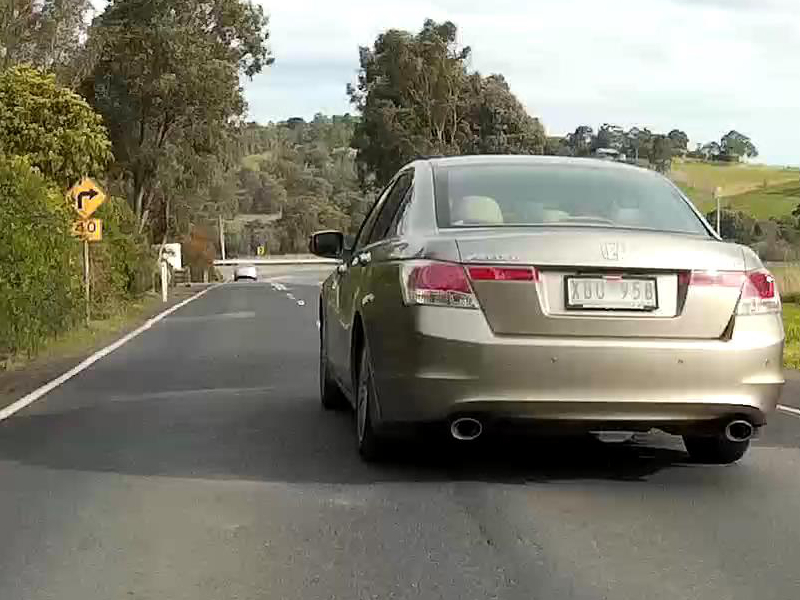 This is the fourth time this has happened at the same spot this year – one of the offenders was a driving school instructor! So, a little inelegant, but in my preliminary testing it works perfectly. One upshot is that the buttons are easier to operate through the case when wearing long finger gloves than when pressing the stock buttons alone – you feel a distinct click from the case’s buttons. The case seems to provide some noise dampening too. 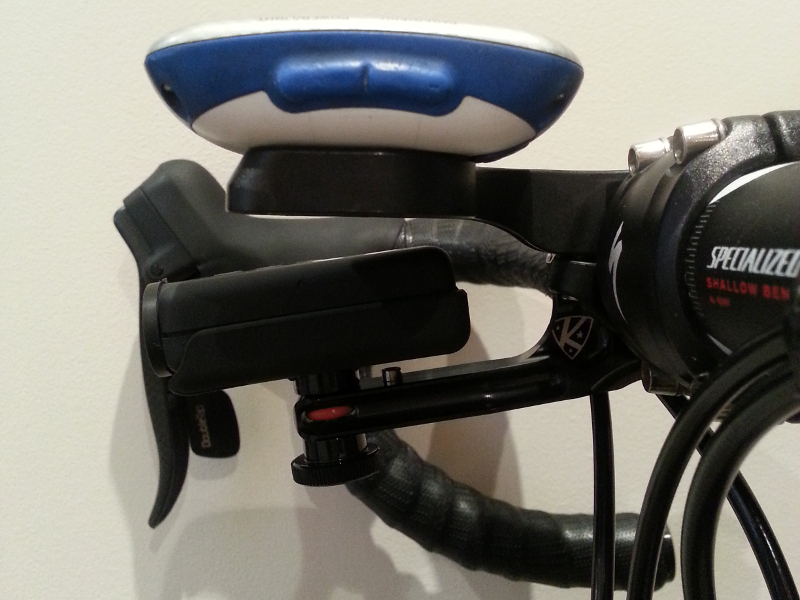 I also added a small piece of tyre tube at the points where the mount’s screw meets its aluminum body – and this in addition to the mic being taped over. At this point I think I’m at the limit of my worrying about noise problems and believe I can live with it. You can always extract the audio and dampen it separately. So things seemed to be going well with the Mobius up to this point but at the same time I seemed to be developing a problem with my GPS reception. At first it didn’t occur to me that the two might be connected. 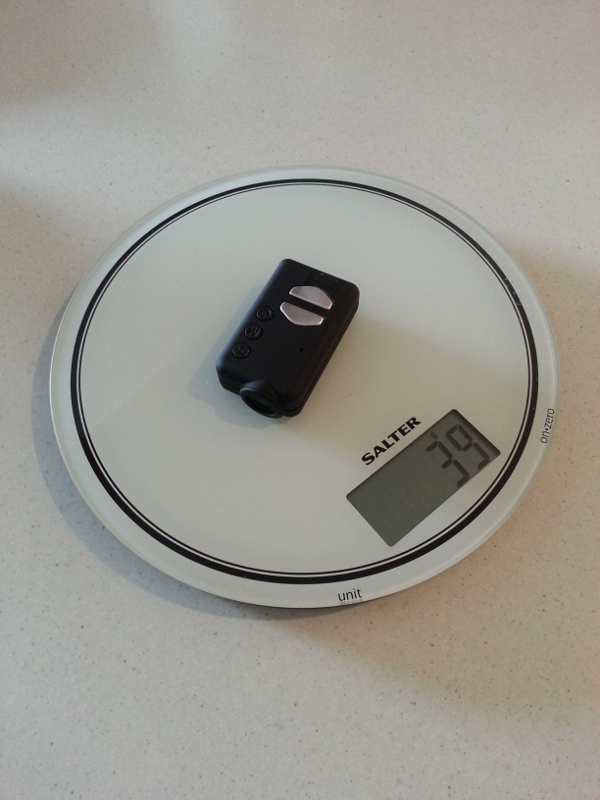 I even started ringing around shops to get prices on an Edge 510 – not my favourite device, but the promise of sharper satellite tracking with GPS and GLONASS combined becomes very tempting when you’re struggling to get a lock with your Edge 500. OK, so this looks pretty obvious in hindsight! This was a real problem for me, especially because I use the GPS for speed data and the scrambled signal provided nonsensical numbers (my Quarq handles cadence so no need for a speed/cadence sensor). Covered up, save for openings for the lens, heat sink, LED, power and SD card. The satellite signal is still subtly attenuated, but in my most recent testing it was strong enough to give me good speed data and the GPS track was true enough to put me on all the Strava segments I covered. So a working solution for now. Interestingly, the problem with buzzing noises appears to have been solved – I don’t know if this is from the camera being disassembled and reassembled when I painted the case, or from the increased thickness of the taped camera resulting in a more stable fit inside in the waterproof casing. Update December 2014: A shielded case can now be purchased separately for $20 to resolve GPS issues. The same reseller is offering a complete shielded Mobius for $97.95. Interestingly, the say ‘Based on input from a number of users in the RC (Radio Control) and Cycling markets.’ You reading this guys? Send me one and I’ll test it! 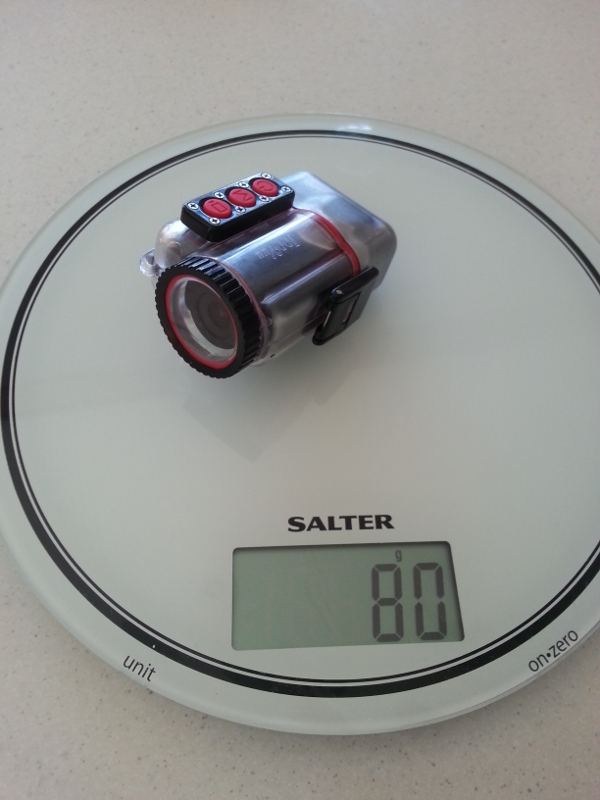 Is the Mobius as good as the GoPro, or the cameras from Garmin and Shimano which are being used in the pro peloton? No it isn’t. I haven’t been able to match the near-GoPro quality of the comparison video posted above. Perhaps the RC helicopter used in that video is a more stable platform than the bike, affecting end quality. The Garmin and Shimano cameras also feature an array of features like waterproofing and ANT+ compatibility. Before I discovered the serious problem of electromagnetic interference with the Mobius I still rated it as an attractive rival to those cameras. At around $68 there is a lot of bang for your buck here, especially if you’re not looking to use complicated features. 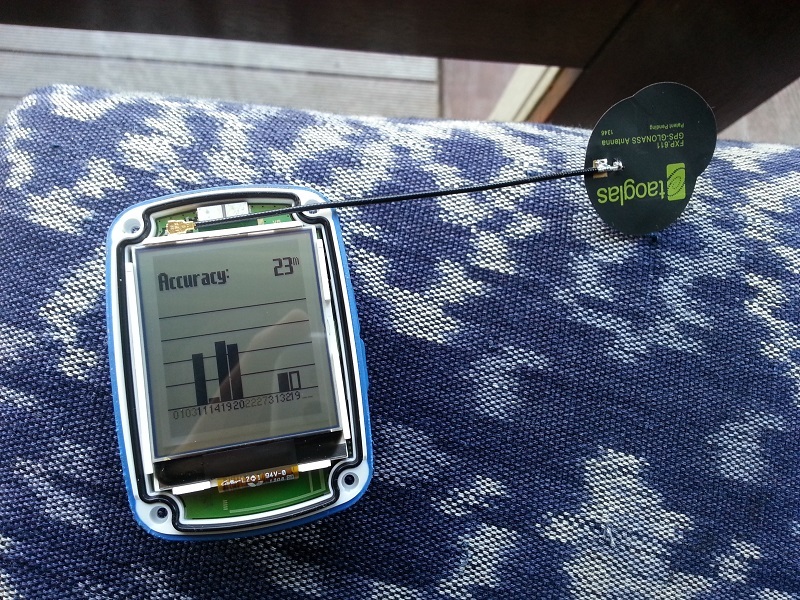 But having to go to DIY lengths to avoid data corruption is pretty annoying. 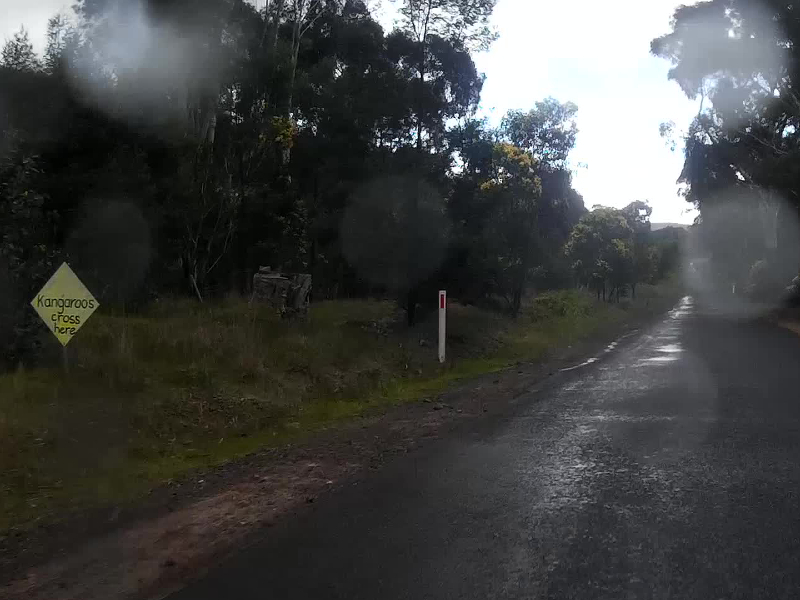 I’ve enjoyed combining footage with Garmin telemetry via Dashware and whilst this process can make the lack of an ANT+ connection a non-issue, the risk to data quality from interference means I’m never 100% confident the whole set-up is going to work, even with the copper tape. I feel like the camera looks disappointingly messy in its newly taped up state. 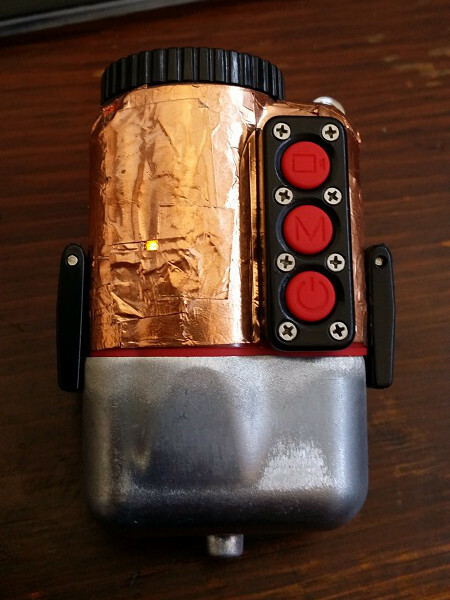 Though I suppose it looks a bit like some gold-foil insulated NASA hardware too! Of course the new GoPro Hero at just over $100 changes everything, although I much prefer the aesthetic of these sleek matchbox sized cameras which seem to me to compliment road bike aesthetics more than the boxy GoPros and their mounts. 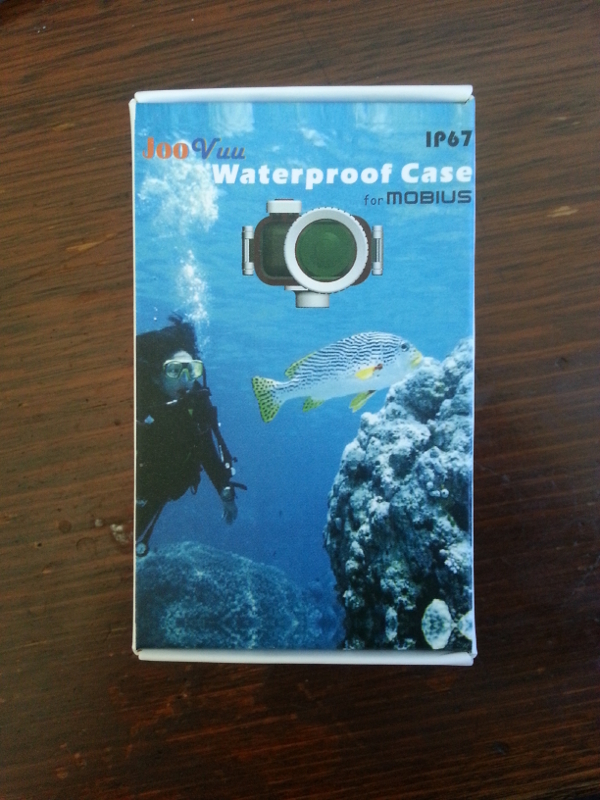 I really like the look of the sub $90 Innovv C1 in the video above – If someone would just make a nice waterproof case for it I think I’d be sold. 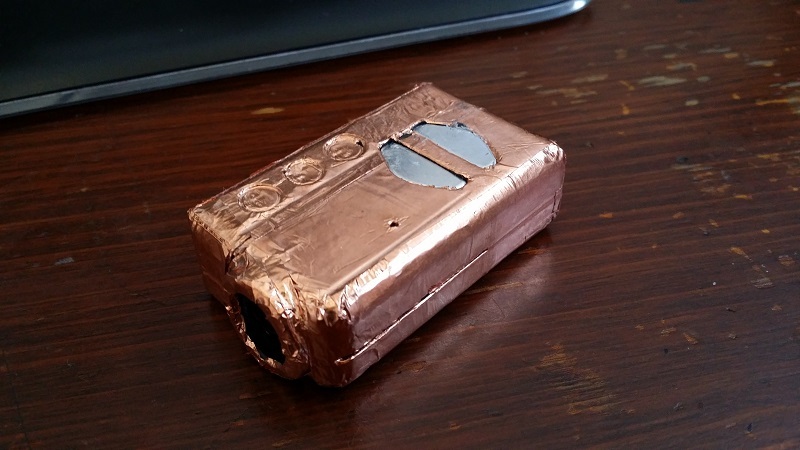 But if you don’t need to worry about GPS signal loss, or you think you’d enjoy mucking around with DIY solutions to it, then the Mobius is still a pretty good buy.